Whilst this method creates a smooth transition between pages, it is rather time consuming. 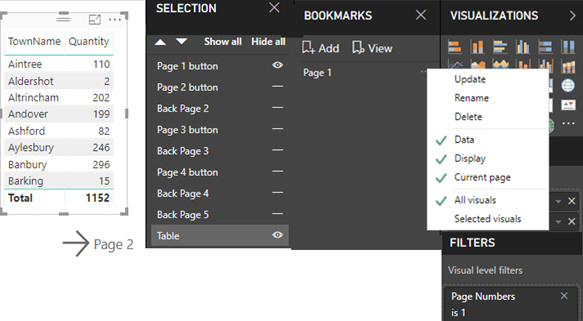 For a faster method not using bookmarks click here. It becomes very easy to lose track of data and miss patterns. Did I already look at Bootle, or is that new when I scrolled down? This way we can move methodically between the pages. 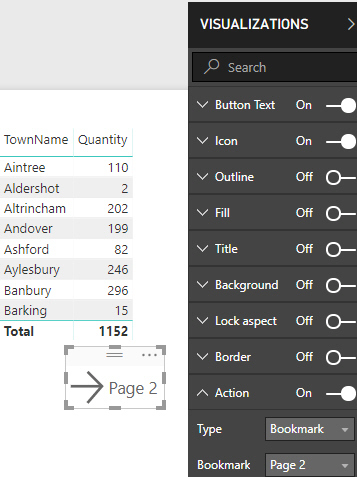 On the Add Column tab choose Index Column then From 1. 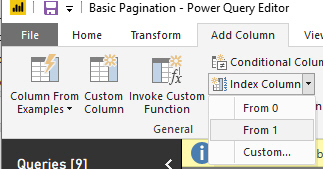 This creates a new column counting 1 to n for each row in the selected table. 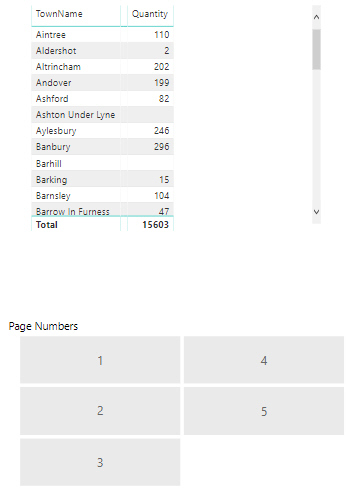 Dividing by 10 and then rounding up to the nearest whole number will separate my rows into pages. For example 1-10 will all be on page 1. Admittedly this method does have the advantage of speed, and also gives the user the option of having more than one page showing. Page 1 only need a forward and page 5 (which is my last page) only needs a back arrow. Now comes the tedious part: repeat this for every page number you have, hiding the buttons you don't want and changing the page filter. While it gives a smoother transition than the slicer, it really does take a while to make! 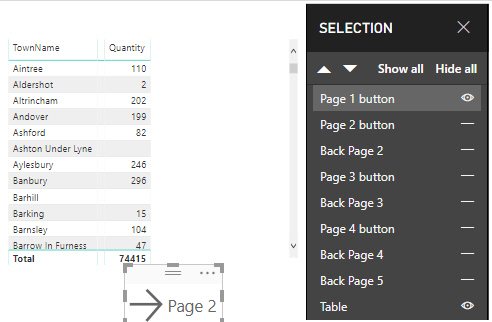 This is a very simple version of pagination. To make it more complicated read this blog to create a dynamic measure. To try this report click here.